Take me to Hawaii!! No? 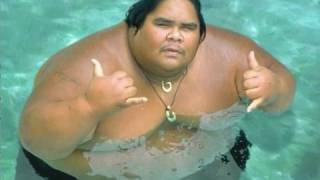 OK, I'll listen to the masterpiece of Israel Kamakawiwoʻole's. Wow, so relaxing! IZ, the ukulele legend, passed away in 1997. His beautiful voice, however, is foever with us, like the natural blessings of the island.